If you are in the process of getting dental implants, your dentist may determine that sinus lift surgery is required after you’ve had some initial tests done. It might sound alarming, but a sinus augmentation is a straightforward and routine procedure for many oral surgeons. It has become increasingly common in recent years as an increasing number of people choose to get dental implants. When is a Sinus Lift Required? The average cost of a sinus augmentation ranges from $1600 to $2400 per side of the mouth. So if you require sinus lifts on both sides of your upper jaw, expect to pay between $3200 and $4800. For example, Cheyenne Advanced Dental Arts in Las Vegas charges $1800 per side (see references for a link). After around 3-6 months, you should have healed enough to have your dental implant(s) placed which typically cost $1000 to $3000 each. Additional costs may include antibiotics to be taken before surgery and/or pain medication and an antihistamine after surgery. Insurance coverage available (typically not covered as the procedure is considered to be cosmetic). One of the ways to reduce the cost is by getting the procedure done at a dental school. A sinus lift is a surgical procedure that involves lifting up the sinus membrane in order to make room for a bone graft. The purpose of the bone graft is to build up bone in the upper jaw just below the sinuses on either side of your nose in the region of your premolars and molars. A certain depth of bone is necessary to fully accommodate an implant, otherwise it may become loose and fail or even perforate the sinus membrane. A perforated membrane can become infected and increases the risk of implant failure. You may be required to have a sinus augmentation if a CT scan or x-ray shows that there is an insufficient amount of bone in your upper jaw to properly support dental implants. The back of the upper jaw naturally has less bone than the lower jaw. It is very common for people to have insufficient bone quality and quantity to support dental implants that replace their upper molars. The maxillary sinus is too close to the upper jaw. The size and shape of the sinus varies significantly from person to person and the sinus can become larger as you age. Bone loss caused by periodontal or advanced gum disease. Teeth have been lost and/or missing for a long time. After a tooth is lost, the surrounding bone is slowly reabsorbed by the body. The longer it has been missing, the less bone is available to support an implant. , your dentist will take a CT scan of your jaw. This will provide a clear 3D image of the sinus cavity and jawbone, enabling your dentist to plan the surgical procedure in detail. The traditional approach is to make a small incision into the gum tissue that exposes the bone just above the area where the implant will be placed and slightly above the sinus floor. Next, a small section is cut out of the bone creating a trapdoor that is gently pushed inwards and upwards towards the sinus cavity. 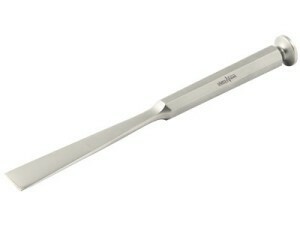 This pushes the sinus membrane upwards, lifting the sinus floor. The empty space created just underneath the section of bone is then filled with bone graft material. Finally, the gum tissue is stitched back in place. An alternative method can be used when only a small amount of bone material is needed and it is possible to place the dental implant during the same procedure. 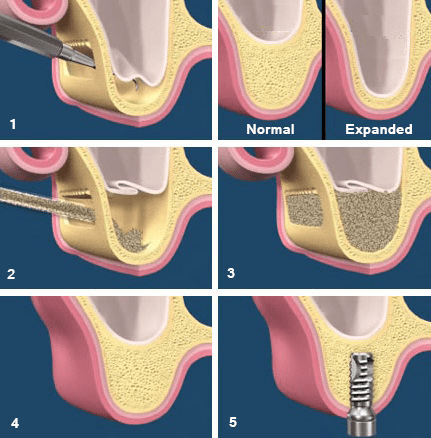 In this process, the same opening is used for both the bone graft and the dental implant. Your dental surgeon will make a socket in the bone that comes within 1-2 mm of the sinus membrane. They then use an instrument called an osteotome to lift the sinus floor by placing it into the newly created socket and gently pushing it upwards. Next, it is inserted a little further to lift the sinus membrane, creating sufficient height for the dental implant. The bone material can then be inserted into the newly created space and the implant is placed immediately afterwards. The primary risk of a sinus augmentation is that the sinus membrane could be punctured or torn. If this occurs, your surgeon can mend the tear but they may need to stop the implant procedure and put it off for a few months to allow the membrane to heal. Once the membrane has healed your surgeon can carry out the sinus lift. It’s unlikely the membrane will tear again as once it has healed it tends to be thicker and stronger. All types of surgery carry a small risk of infection but this is rare with sinus lifts. There is also a small chance of nerve damage or pain or inflammation. Sometimes a graft will not integrate with the existing bone. When this occurs, the grafted area doesn’t develop a blood supply. This increases the risk of implant failure as once the implants are placed, it is important for new bone cells to grow on and around the implant post. This cannot occur unless the implants have been inserted into healthy, living bone. If a graft fails, it is usually possible to try the procedure again at a later date. After a sinus lift, it will take around 3 to 6 months for the added bone to become one with your sinus floor bone. Depending on the grafting material used, implants may be placed after four to nine months. It is normal to experience swelling, discomfort and minor bleeding from your nose and mouth after the surgery. You will need to bite down for approximately half an hour on a gauze pad to help stop the bleeding. Replace the gauze pad as needed during this time as the bleeding gradually slows. It is normal for bruising to develop near the surgery site. Have over-the-counter pain relief ready to deal with any discomfort. A cold pack is also helpful in reducing pain and swelling the first day or two after surgery. Your oral surgeon may prescribe antibiotics and mouth wash to help prevent infection. Plan to take it easy immediately after the surgery. You should be able to return to work after 2 or 3 days of recovery. You will not be able to brush or floss the area for the first week after surgery, but it is important to carefully look after rest of your teeth. Choose soft, easy-to-eat foods for the first few days and chew on the opposite side. Avoid eating hard or crunchy foods as these could irritate the area around the bone graft. Avoid hot foods for the first couple of days, but after that you should be able to start eating warm foods again. It is very important to avoid blowing your nose or sneezing forcefully for two to three weeks and you may be prescribed or advised to buy a nasal spray, decongestant or other medication to help prevent this. Avoiding strenuous physical activity for at least a week is also recommended. Any of these could cause the graft material to move and loosen the stitches. Your oral surgeon will see you again 7 to 10 days after surgery to make sure the area healing properly and remove stitches that do not dissolve on their own. If you’ve had a sinus lift done, I’d love to hear about your experience! How much did it cost? Were there any complications? Was it painful? Let me know in the comments. I had a sinus lift and three implants today. Cost of sinus augmentation only was $2400.00. I had 4 implants done on the upper gums for prep for 4 on 1. Rejected back right within a month. Upper right implant is showing half out. No pain at implant but 10+ all around implant. Now wants to remove that one. Do sinus lift and two implants. I have severe anxiety with clinical depression. Sinus problems, infections, headaches, etc. Was terrified of having dentures at all. Do not think I can mentally handle any of what was described. Shouldn’t he have known this ahead of the placement of implants. It has been 8 months.